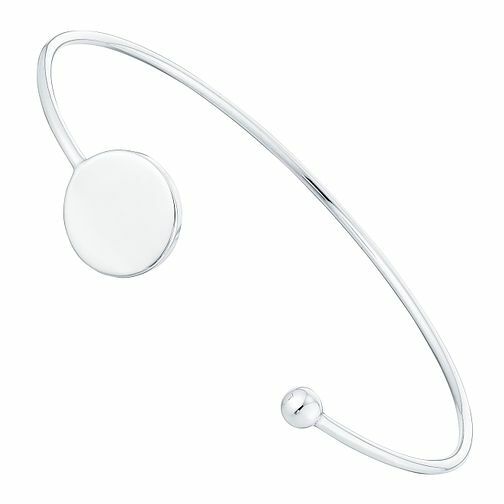 A silver circle disc is the centerpoint of this sterling silver open bangle. A unique bangle which combines classic with style. Personalised engravable service, please ask in store for more details.